The date is finally here: San Diego Comic-Con 2016 Pre-registration will be this Saturday, 14 November, at 9 am PST. This was the expected date at this point so no surprises there. Still, the actual announcement unleashed a flotilla of butterflies in my stomach and probably yours too. And we do have some changes to mull over, so let's break them down. But first, if you were a 2015 first-timer and Open Reg was your first sale, be assured you won't have to master an entirely new system; Pre-reg and Open Reg will be pretty similar. We're getting RFID badges. I love this. One, I love the fact that CCI is willing to change; if you're new to these parts, you won't appreciate it so much, but traditionally they've moved like a dinosaur in a tarpit. CCI is really stepping up their game lately. And two, it's just the practical way to go. So, RFID - all about it. Badges will be mailed to the buyer. Which has huge implications for buying groups. If your buying group is comprised of online friends who live hither and yon, now the trust contract goes both ways - the buyer to trust they'll be paid; the bought-for people to trust the buyer will mail out the badges. Prices went up. I'm bracing myself for the complaints but I still think SDCC pricing is incredibly reasonable given everything you enjoy access to. Child badges also need to be picked up in person. The waiting room can be entered only an hour in advance this time. There's a nonsensical feature where you can "remove" badges from your shopping cart. Who are these people that get to that point in the process and think "Eh, maybe not"? CCI's example features a last-minute phone call where Clark Kent decides to go to a show instead of Comic-Con but the idea of anyone pausing their Pre-reg process to answer their phone is insane. The methodology here is to grab what you can and worry about refunds later. CCI put together a comprehensive Pre-reg walk-through, which I'd advise reviewing. It's pretty close to before BUT again this time you'll only log into the EPIC waiting room an hour in advance. That's 8 am PST. You'll enter your special registration code (sent to you in email but also found in your Member ID account) to get in. Beginning at 9 am, you'll be "randomly sorted" with everyone else into line. This is where you'll slowly go mad from the spinning blue circle and CCI's awkward nerd jokes. You'll watch in fury and disbelief as the system tells you "Preview Night/Saturday/Friday/etc badges are running low." Eventually you'll get in - or you won't. Just like before, you'll check the days you want. If you're lucky enough to check Preview Night, that automatically checks every other box. Then you'll pay via credit card AND enter your shipping address - and then you'll heave a huge sigh of relief, knowing that you are among the first in the world to be a confirmed San Diego Comic-Con 2016 attendee. In short, it will be like buying your 2015 badge, whether you got it from Pre-reg or Open Reg. Screenshot everything relevant. Even if you don't encounter a glitch, screenshot anyway. If nothing else, you'll enjoy looking at your confirmation screenshot while you wait for your confirmation email. Ignore wild rumors of sold-out categories on Twitter and Facebook and Instagram. It's official when CCI says so. Don't storm off in a huff when Saturday or Preview Night or whatever sells out. Even if only Sunday is left - buy the badge. You can always turn it in for a refund later. Even one day at Comic-Con is better than sitting at home in a snit. The Thursday-Sunday split has more to offer than you'd think. And you can always upgrade during Open Reg. If you're in a buying group, you may encounter this: you enter a Member ID only to be told that a badge has already been purchased for that person. If so, accept it and move on to the next person you're buying for. Don't stop and text or message your comrades for confirmation. You'll waste valuable time. Just complete your purchase. Also be aware that the more elaborate you get with your buying group, the more potential there is for someone to mess up. Every sale I hear about someone who slipped through the cracks while all their friends got badges, due to a misunderstanding about who was buying for who in what order. Be very precise and be sure everyone has identical marching orders. If you're not in a buying group but would like to be, you can either form your own by asking around on social or try to join one already in existence. Be prepared to demonstrate some kind of credibility/identity, since you may be asking a complete stranger to pay for your badge up front - and you'll be trusting them to mail your badge to you. I had 3 people drop out of mine so I'm willing to take a few more people - email me if interested. Finally, I'll say what I say every badge sale and suggest leaving your Saturday open to recover from the stress. 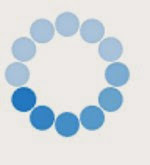 Unless you're a Zen master, SDCC badges can hit hard, draining your adrenals and scrambling your mental state. Maybe you'll be reeling from the shock of getting totally shut out; maybe you'll want to celebrate a 4-day badge. Either way, it's good to leave time open to regroup and indulge yourself. I'll share more advice over the coming days. For now, get organized and try not to be too nervous. This is only Round 1. If the worst happens and you come up empty-handed on Saturday, you'll have another shot in Open Registration. ETA: I've had 2 questions about the whole "buyer gets the badges" thing. I'll post my thoughts on this later but I do want to point out that since the badges are RFID, you have the power to have your badge "turned off" if for some reason you paid the buyer and he/she never mailed them out. Then you can pick up your new badge onsite. I'll talk more about this later. I thought once you get a badge (day or multiple days), you are guaranteed a badge year to year. Is that implies to last year 1st time attendee or every long term attendee? No one is ever guaranteed a badge. What CCI does is divides the available badges into 2 sales. The first sale, Pre-registration, is only open to attendees from the previous Comic-Con. The next sale, Open Registration, is open to anyone with a Member ID (which anyone can sign up for) whether they've been to SDCC or not. So the sale this Saturday is only for people who went to SDCC 2015. I'm a long-term attendee and I'm not guaranteed anything. Unfortunately. I wish previous attendees were guaranteed a badge! But realistically, if that were the case, no one new would ever be able to attend, because 90%+ of attendees would just re-up every year.